Nothing about Stingray is 'Standard' not even our delivery! We want you to have the best possible shopping experience so we only choose the best providers to ensure you get the goods as quickly as possible. 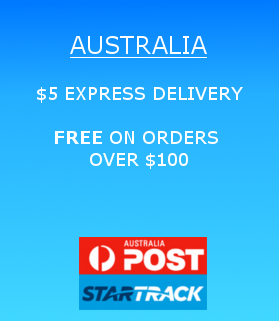 Australia Express delivery uses either Australia Post Express Post or Startrack Express which is normally a 1-2 day service. Full tracking is available and details for tracking will be sent via email at point of shipping. International Delivery is a 2-10 day (depending on location) service with full tracking. A tracking number and courier information will be provided at point of shipment via email, this number can then be used to track the delivery. You may be subject to import duties and taxes, which are levied once a shipment reaches your country. Additional charges for customs clearance must be paid by you. We have no control over these charges and cannot predict what they may be. If you refuse to pay these charges your parcel may be abandoned, and Stingray will not be held responsible for any loss of funds as a result of this occurrence. Customs policies vary widely from country to country and you should contact your local customs office for further information. 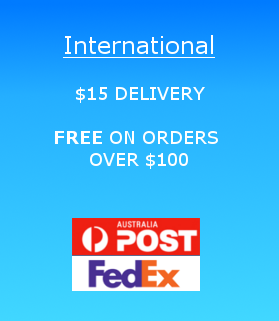 Additionally, when ordering from STINGRAY® , you are considered the importer of the goods and must comply with all laws and regulations of the country in which you are receiving the goods.